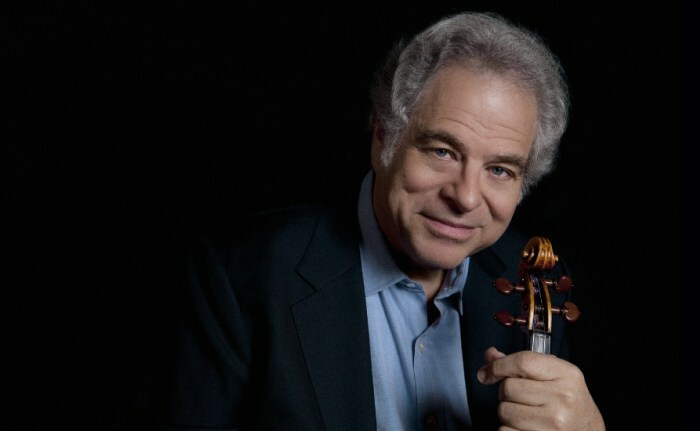 What a great honor for those attending this weekend's concerts at Jones Hall in Houston, TX [like the fetching Mrs. B and I will be on Saturday night], as our world class Houston Symphony Orchestra will be led by the legendary Israeli-American virtuoso violinist Itzhak Perlman in a great program of Bach, Schumann and Mozart. Maestro Perlman, besides conducting the orchestra will be the soloist in Bach's Violin Concerto #1 in A minor. This from the HSO web site: "It doesn’t get any more must-see than this. Legendary violinist Itzhak Perlman is your conductor and soloist in a program of musical delights, including Bach’s crowd-pleasing concerto and Schumann’s rhythmic and rustic Fourth Symphony. To top it off, hear one of the most beloved symphonies ever composed in Mozart’s ingenious Symphony No. 40". From Itzhak Perlman web site: "Undeniably the reigning virtuoso of the violin, Itzhak Perlman enjoys superstar status rarely afforded a classical musician. Beloved for his charm and humanity as well as his talent, he is treasured by audiences throughout the world who respond not only to his remarkable artistry, but also to the irrepressible joy of making music, which he communicates." What an exciting night the patrons in attendance will be in store for. I, for one, can't wait to be there - not just for the wonderful music, but to be able to see Maestro Perlman. As always, when Sheralyn and I attend an HSO concert, I like to give a small preview of the pieces we will be hearing that night. So, please turn up the volume and enjoy a sample of great music from Bach, Schumann and Mozart. Thanks Stephen! We loved being there with you- Love you!